These were the words of one of the engineering students of IIT – Delhi, who was part of the audience that watched this monumental documentary film, Gods in Shackles by Sangita Iyer. This thought about unawareness was echoed by almost every one of the approximately 125 students who watched the film with rapt attention in pin-drop silence. I am sure that this film which exposes the truth behind Kerala’s festivals where Asian elephants are tortured and exploited for profit, inspired at least the beginning of a shift in attitude towards these wonderful creatures. 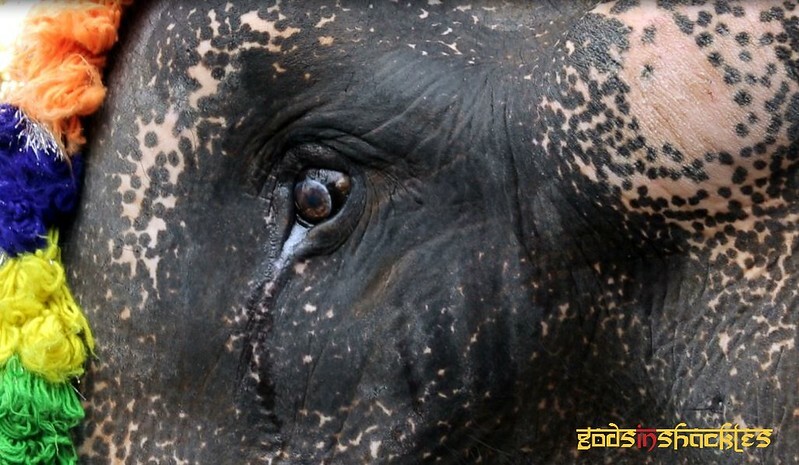 This documentary film, Gods in Shackles, is being called the “Blackfish” for elephants. The groundbreaking, multiple award-winning and United Nations nominated film, exposes the sad plight of temple elephants in Kerala, India that are being exploited for profit under the guise of culture and religion. The film made history after the Speaker of the General Assembly of Kerala screened it on the legislature’s grounds. STRAW as part of its “Compassionate Scholars” Program in association with NSS-IITD screened the film “Gods in Shackles” at Indian Institute of Technology – New Delhi, yesterday evening.